You can make animal photographs in any zoo on earth. 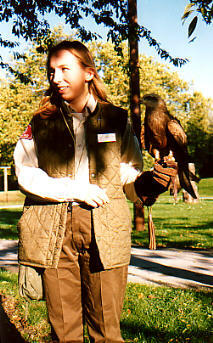 The cool things in London Zoo, that make this zoo special, are the animal demonstrations. 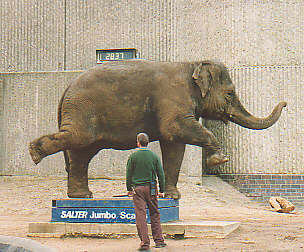 For example, in the London Zoo you can see an elephant comes in handy when you have to move heavy objects. 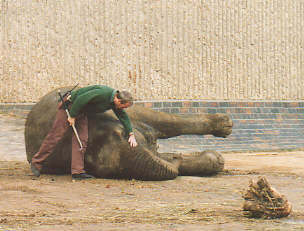 Like bulldozers, draglines en tractors, an elephant also needs maintenance. 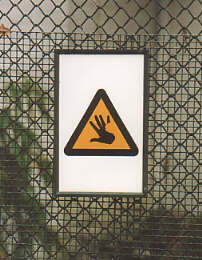 In the London Zoo they show you how this is done. Tell the elephant to lie down. Believe me, if you do this right, the elephant really does lie down. Pat the elephant on the trump. If you forget this, the elephant won't be calm and it won't stay down. Perform whatever maintenance you need to do. And when the elephant is standing up again, you can weigh it. To do this, you'll need a Jumbo Scale (or any other scale with an appropriate name). Have you ever wondered about the weight of such an animal? It should be no surprise that it's quite heavy, to be precise: 2,837 kilos. 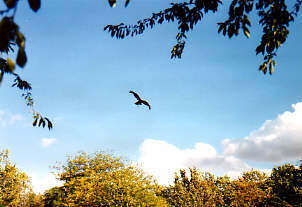 At the birds of prey show are several kites, the bird you can see on the right. They are are fantastic birds, and the most amazing part is that they return to the bird-lady. Watch out, this furry little animal bites! That reminds us: we're hungry. And so we discovered one of the disadvantages of London Zoo: although there are many restaurants in the Zoo, they're all closed in winter. So when we started to wonder what the furry little animal would taste like, we decided it was time to leave and find a place to eat. The best way to come to the London Zoo is by boat. The London Waterbus Company takes you from Camden Lock via Little Venice to the London Zoo, and back. Of course, you can also take the tube to Regent Park and walk through the park. Only: the zoo is at the opposite side, and the park is quite big.